Floating your horse’s teeth can help enhance the quality and extend the life of your horse. Performance may be improved with application of proper bit seats and the pain caused by sharp points cutting into the cheek surface can be eliminated. 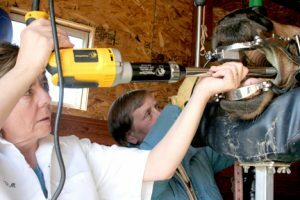 At Boulder Vet Clinic we use a combination of power and hand tools to assure that your horse’s teeth are well cared for.